Composite windows are gaining popularity for their durability and affordability. These window frames are made of a variety of materials, including vinyl, wood chips, and sawdust, all held together with epoxy. This combination makes the material strong and resistant to all sorts of weather. Composite windows are one of the newer forms of replacement windows. They can be made to look a lot like wood frames, but are resistant to damage from moisture, sunlight, and insect infestation. Some higher end companies use a composite on the outside and real wood on the inside. Composite windows are not only extremely durable, but offer a look that is close to that of real wood that vinyl just can’t meet. And their cost is less than wood, allowing you to get the beautiful look of wood without the high price. Composite windows, whether new or replacement, are not the cheapest window on the market. They fall toward the middle of the price range, cost more than vinyl windows, but less than wood windows. Composite windows have many advantages that other frames do not. It is easy to see the benefits of composite windows when you compare it to traditional wood replacement windows. They are extremely durable, and require a minimal amount of maintenance. Composite windows are almost impossible to damage. They stand up to just about any type of weather, including humidity, sunlight, and even falling branches. These windows are not easily dented, so you will have a beautiful window that truly stands the test of time. Composite windows also have a stronger insulating factor, especially when combined with low e coatings and double or triple paned glass. The frames can also be recycled and made into new windows again and again, making them a very environmentally friendly product no matter how you look at it. Plus, you have a wide variety of options to choose from, because they can be made in just about any color, size, or architectural style. You can get the exact look you want, at a reasonable price, and with complete peace of mind because you know the windows will last a long time. Many companies manufacture these frames but they all offer something different, whether it is a wood interior or composite on both the interior and the exterior. Many use different base materials and carry distinct warranties and exclusions. Always look for a company that offers a good package of quality, cost, and any other features you are looking for. 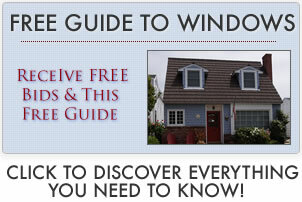 For additional information on what consumers think of products see our replacement windows reviews section.